TechInAfrica – BeepTool, a Lagos-based startup, has launched m-naira app aiming at bridging the gap in financial inclusion. The innovation is a part of the startup’s contribution to Nigeria’s effort for a cashless economy. As of today, Nigerians in the Diaspora send up to $24 billion annually to Nigeria. At an average cost per transaction of 11.89%, Nigerians are spending more than $7 billion in fees. We think we can do better. The m-naira app is designed to be the fastest and most secure way to send and remit money home directly to a bank account or mobile wallet. The m-naira app is also designed for paying bills for family and friends from any part of the world. “M-naira App is a value sharing and money transfer services platform that interconnects all Nigerian bank accounts, mobile wallets, and billing systems to deliver instant remittance services to Nigeria from anywhere in the world. 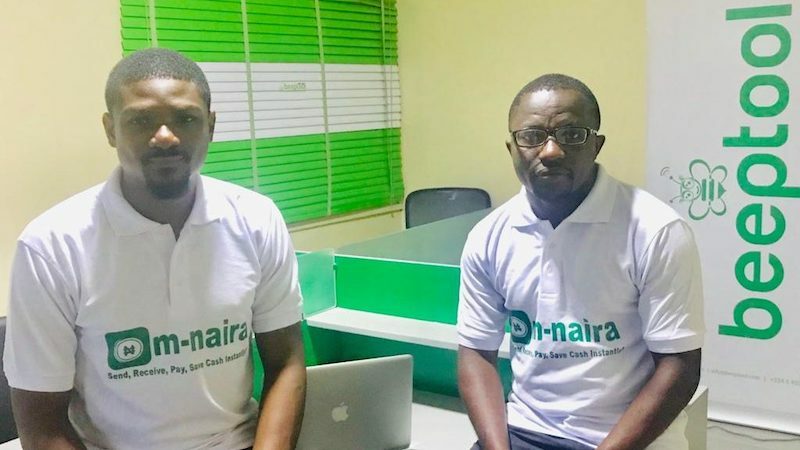 Whether you’re supporting your family or doing business in Nigeria, m-naira App makes it convenient and safer to Send, Receive, Pay and save cash instantly from your phone, at a quarter of the cost of your bank or high street money transfer provider,” said Mayowa Ihinmikaiye, Co-Founder and Business Development Manager at BeepTool CIS Limited. Nigerians in the Diaspora can access features like Instant transfer which is available in the UK, the US, and European Union approved countries. The feature can be accessed 24/7 with real-time updates on your transfer and more importantly, they don’t charge credit or debit card. In other words, it’s free. For the time being, m-naira mobile app is only available on Play store. However, the iOS and the desktop versions will be available soon.